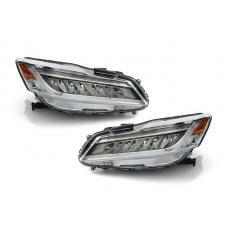 • Plug & Play "True OEM Touring Style" FULL LED Headlight Set. 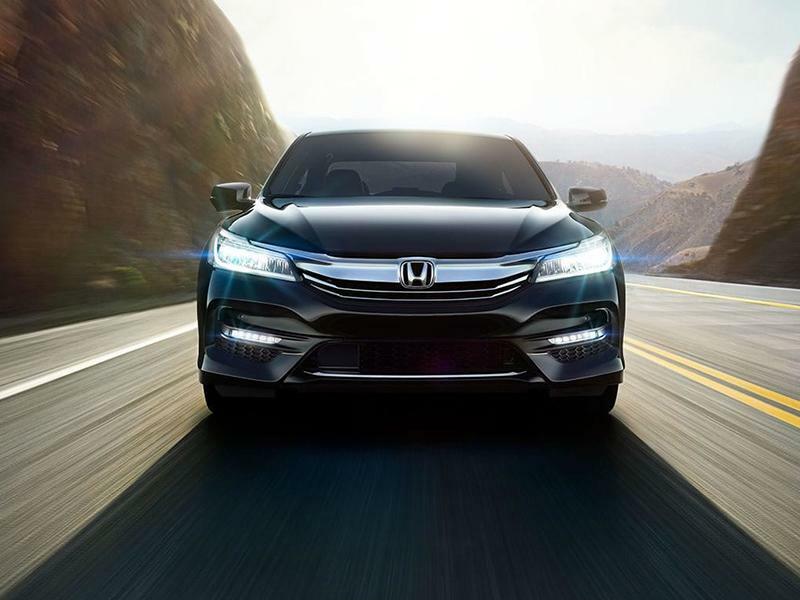 • Honda only offers the Full LED Headlight on its top TOURING model, now you can upgrade your Sport, EX, EX-L models directly to the true OE Touring style Full LED Headlight. 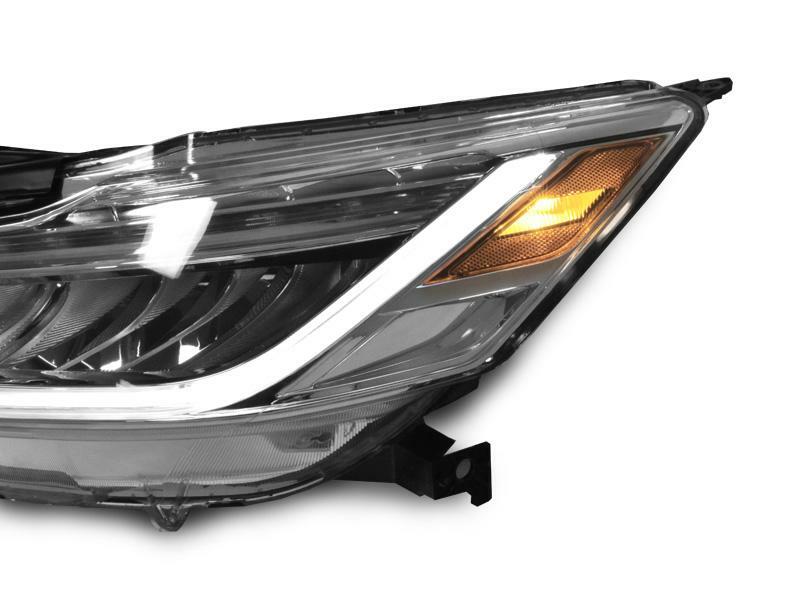 You will upgrade from your stock halogen to Full LED headlight, that still has White LED Strip for DRL, now with LED for Low beam and High Beam PLUS Amber LED strip for turn signal feature. A complete package that allows you upgrade! 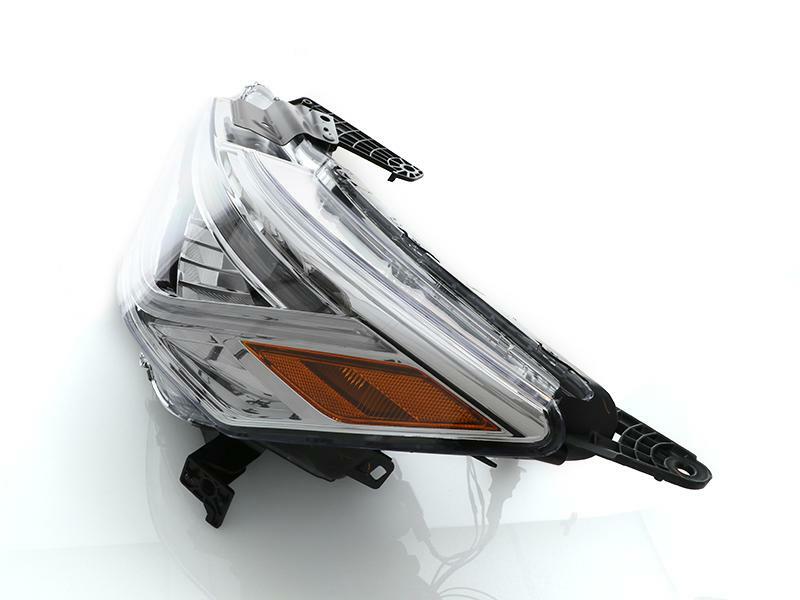 • Specifically designed for the Sport, EX and EX-L models which has halogen headlight to upgrade, comes with all necessary wiring adapters, resistors (Which others are selling those wiring adapter for $200 by themselves). • A complete OE replacement unit, Plug & Play connection, No Error after install. • DOT / SAE Approved. 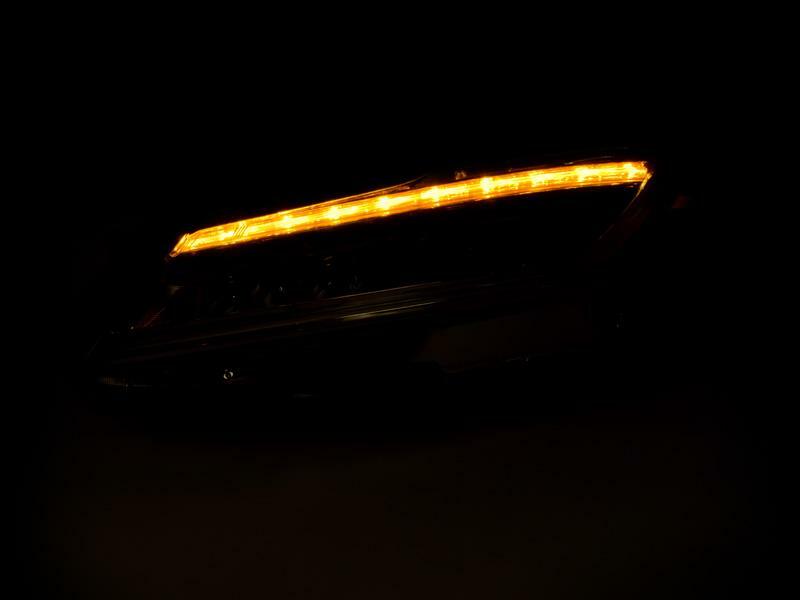 • Bulb Specifications: Built In FULL LEDs including Amber LED Turn Signal. • This does NOT fit on 2 Doors Coupe Nor LX and Touring model. 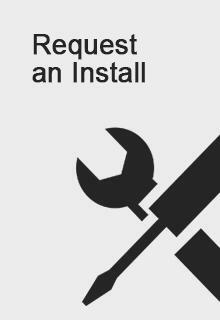 • Although DIY is possible, professional installation is recommended. No instructions will be provided besides the manufacturer's (if any). What is Halogen and Xenon HID?How Can I tell if I have Factory Xenon?Why Upgrade? 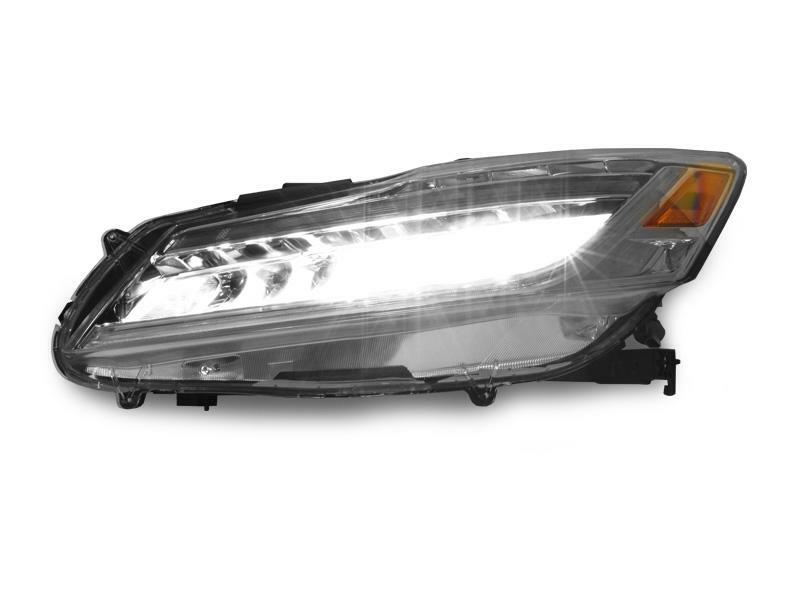 What are the Advantages of Xenon HID?What is the Real Bi-Xenon?What is Auto-Leveling (Electronic Self Level)?What is Adaptive Front light System (AFS)?What is Kelvin Temperature?What is Daytime Running Light (DRL)?What does Sport Package mean?What is Angel Eye Wiring Harness?What is Facelift and Pre-Facelift?What does Pre-Installed by USR mean? Xenon is also a gas which is used in many High Intensity Discharge (HID) Bulbs. 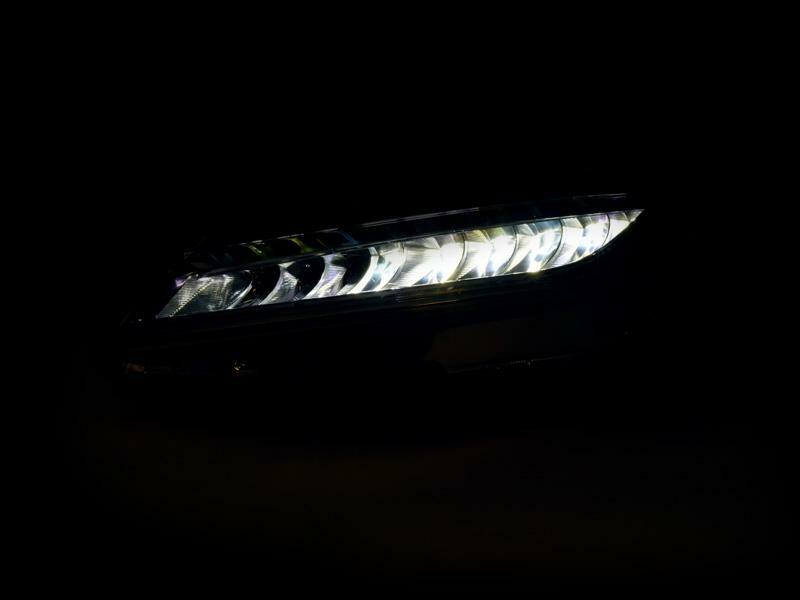 Although different gases can be used for HIDs, most if not all Automotive HIDs uses Xenon gas in their HID Bulb. HID lamp is a new type of lighting technology that replaces the conventional halogen lamp. HID lamps replace filaments of halogen lamps with electrodes. It uses electrical discharge technology to ignite inert gas (Xenon gas) contained in a sealed bulb inside. It was first developed and used in mid-90s, and up until today....Continue with Full Information. 1. 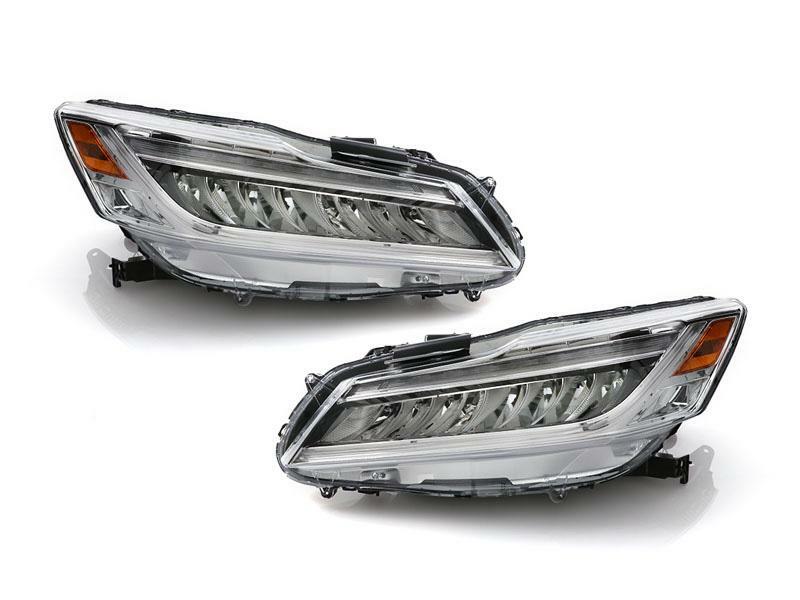 Check if you have stock xenon ballast (metal box) behind or underneath of the headlight. 2. Pull out your low beam bulb to check if it's halogen or xenon bulb? 3. 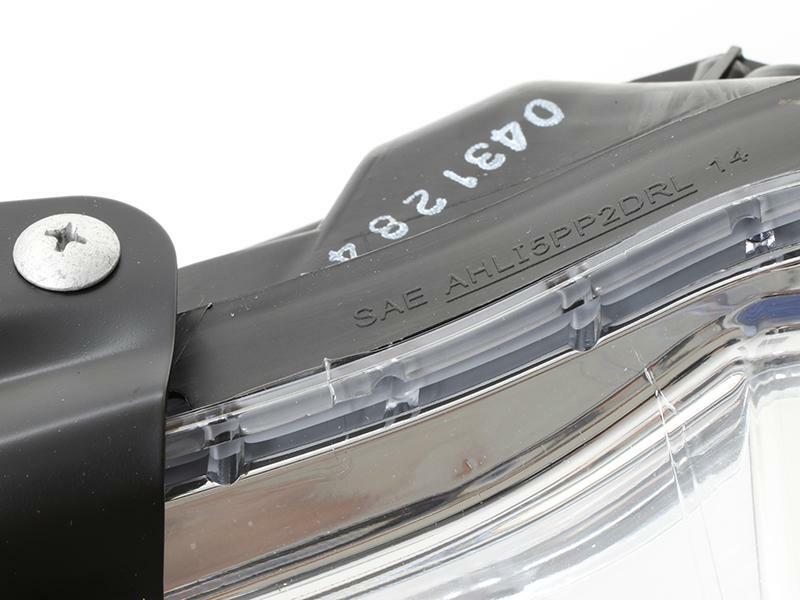 Marking on the front lens or rear housing indicating the bulb size the headlight is using. 4. Turn on both your low beam and high beam for 15 seconds and compare the color between the two. 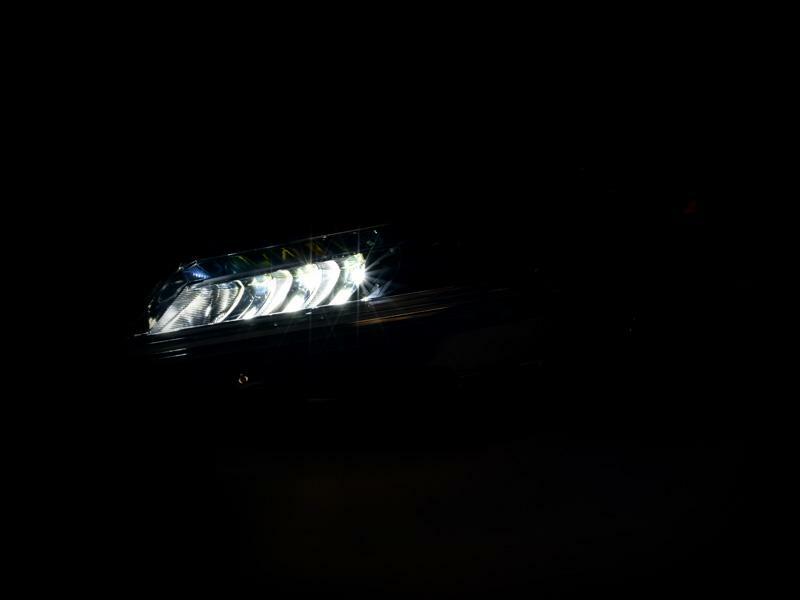 There are many advantages of having Xenon HID. 1. High Intensity Brightness; HID Bulbs are 3 times brighter than the average halogen lamp. 2. Longevity; HID Bulbs have longer life than the halogen lamp, which can last up to 2500 hours or more. 3. Energy efficient; HID bulbs only draws 35W of power while a normal halogen lamp consumes 55W, while producing less brightness. Bi-Xenon means high and low beam are both genuine xenon HID, but the real bi-xenon is that it uses the same xenon bulb and ballasts in the same projector which that projector has an electric controlled shutter built in, in front of light bulb but behind the glass projector lens. When it's low beam, the shutter is lowered covering half of the light output and when you switch to high beam, the shutter is lifted, thus nothing blocking in front of the bulb, thus produce full further beam output = high beam effect. 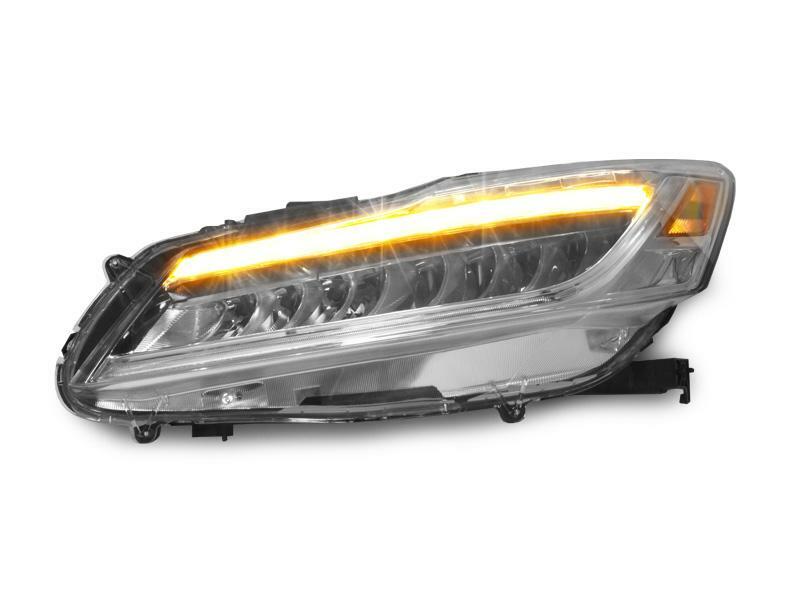 This is the real bi-xenon that is used on all latest OEM Bi-Xenon headlight on Mercedes, Audi, BMW and VW. 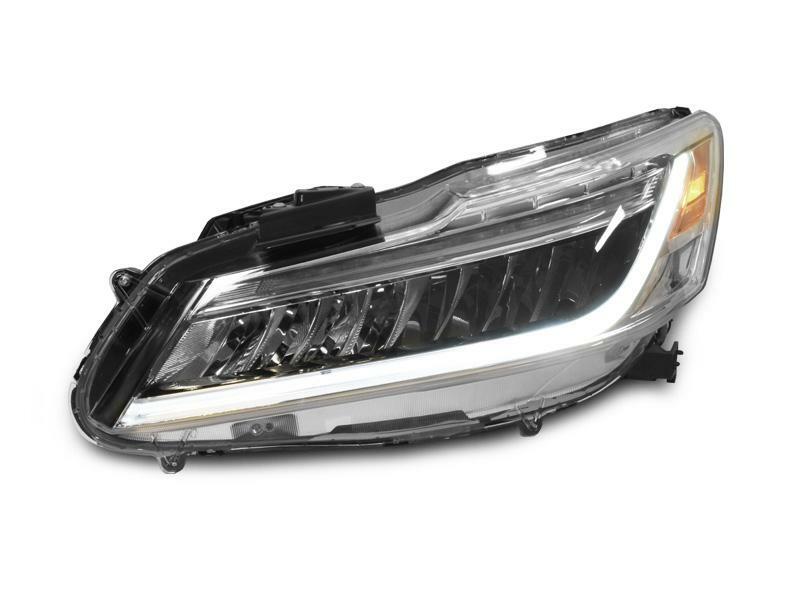 Unlike many fake bi-xenon out there is simply putting multiple set of xenon bulbs in different housing or have the HID bulb itself moves forward and backward to achieve the beam pattern differences....Click here for Full Information. Auto-Leveling is the new feature that was introduced in the late 90. Auto-Leveling is a feature that incorporates a motor/servo built in a headlight which operates/actuates the headlight's inner adjustment mounts, which moves the Beam output angle up and down (either by car's ECU/OBC automatically or via a Self-Leveling Switch inside the car cabin). 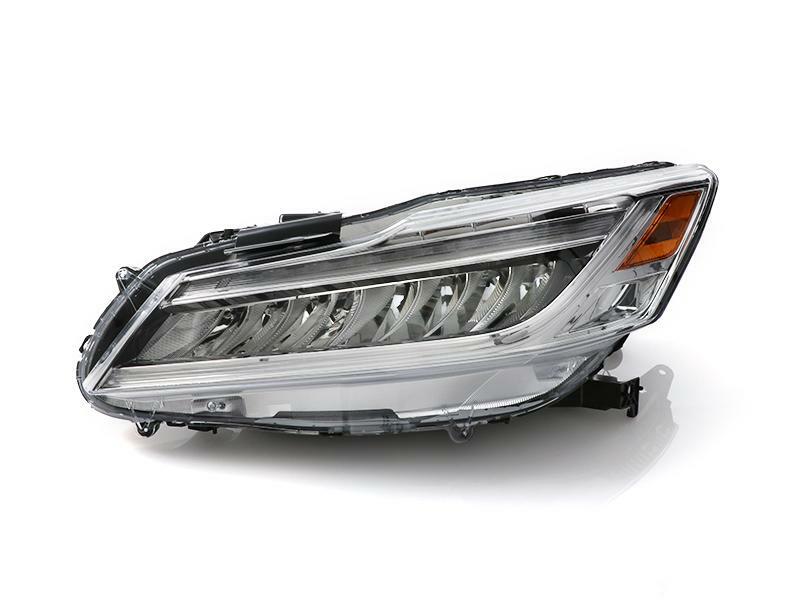 This headlight feaeture is to provide the best lighting angle for the headlight beam output, which helps maximizes the driver's visibility while also doubling to help not blind the oncoming traffic. 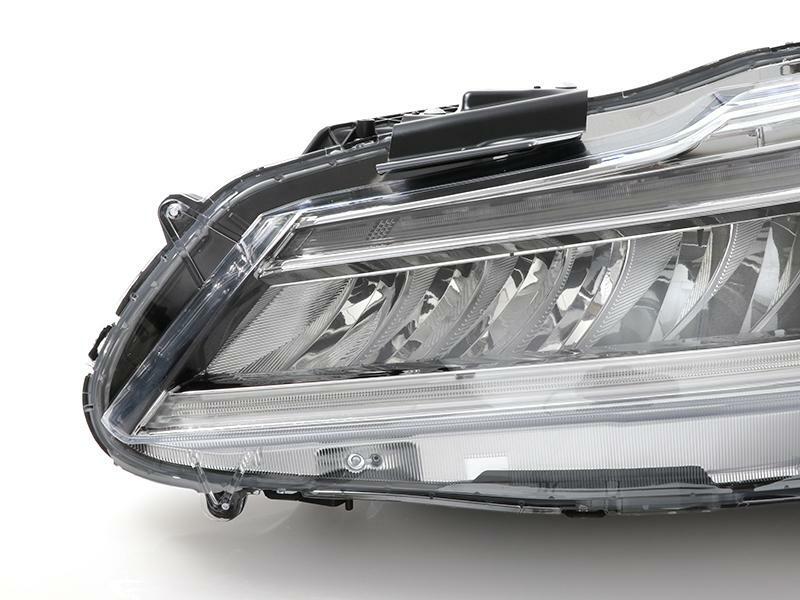 The earlier generation of Auto-Leveling headlight (1995-2002) would have the auto-leveling feature with itself having a separate connector for BMWs. While Audi / VW would feature removable Auto-Leveling motor which can be removed from the stock headlight to be put on the new headlight if it has the capability to accept the stock auto-leveling motor, then the user will continue to enjoy such feature…Click here for Full Information. 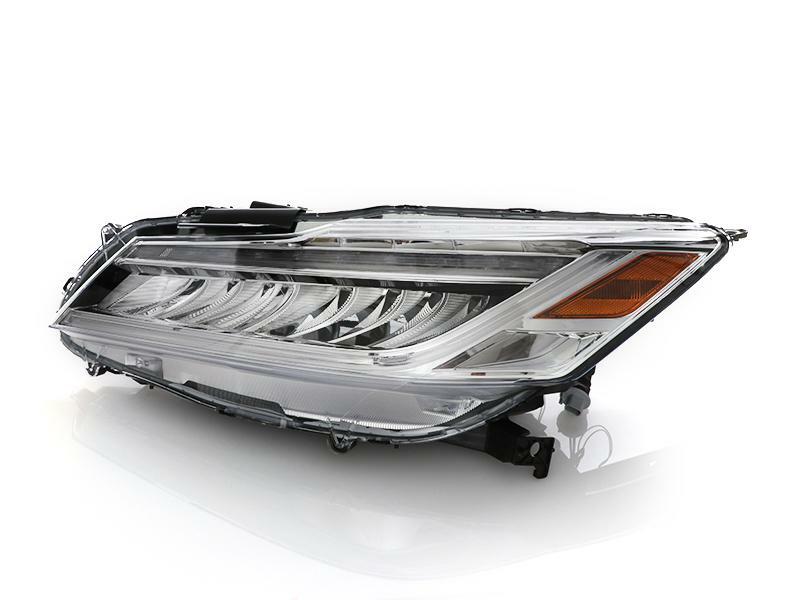 Introduced to the high end vehicles around year 2003, the AFS differs from Auto-Leveling that moves up and down, instead moves the headlight beam left / right to help driver see the upcoming curved road better. 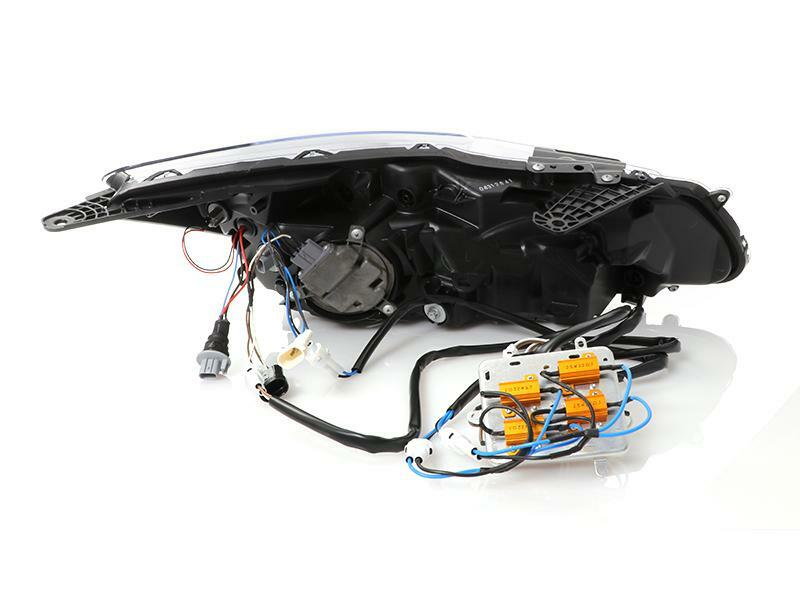 Rather than the mechanical linkages employed in earlier directional-headlamp systems, AFS relies on electronic sensors, transducers and actuators. 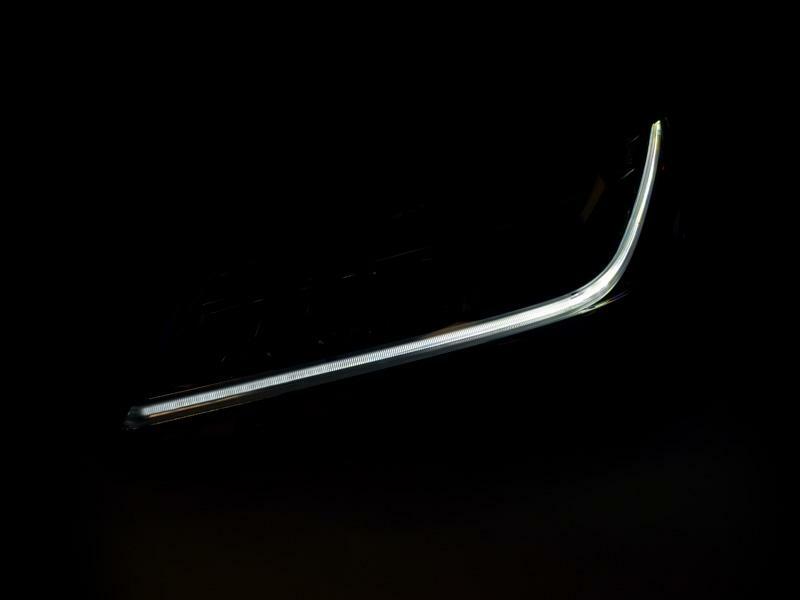 Other AFS techniques include special auxiliary optical systems within a vehicle's headlamp housings. 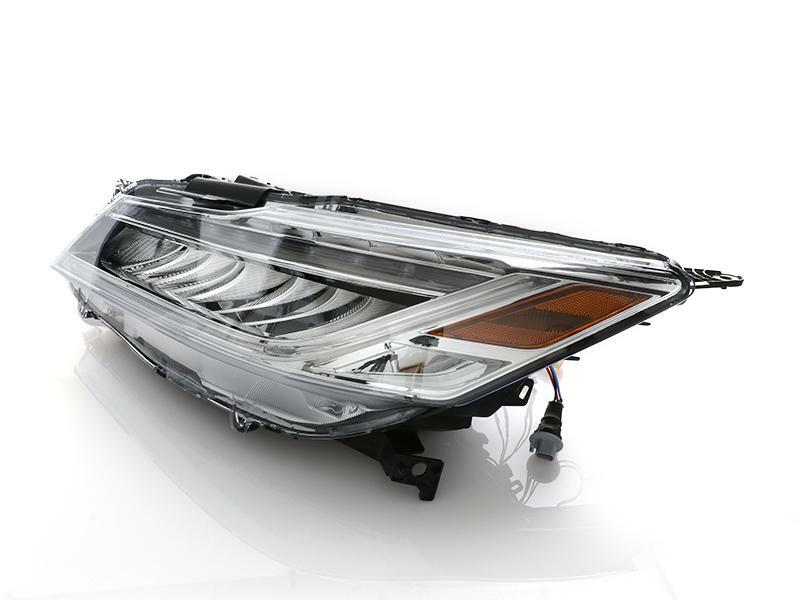 These auxiliary systems may be switched on and off as the vehicle and operating conditions call for light or darkness at the angles covered by the beam the auxiliary optics produce. A typical system measures steering angle and vehicle speed to swivel the headlamps. The most advanced AFS systems use GPS signals to anticipate changes in road curvature, rather than simply reacting to them.....Click here for Full Information. The "K" for instance in "8000K" represents the certain bulb color temperature output, and it's the abbreviation for the word Kelvin. Below is a chart showing you the range of the Kelvin temperatures. Lower Kelvin temperature will emit a more red output. The normal halogen lamp color temperature is rated at 3200K. 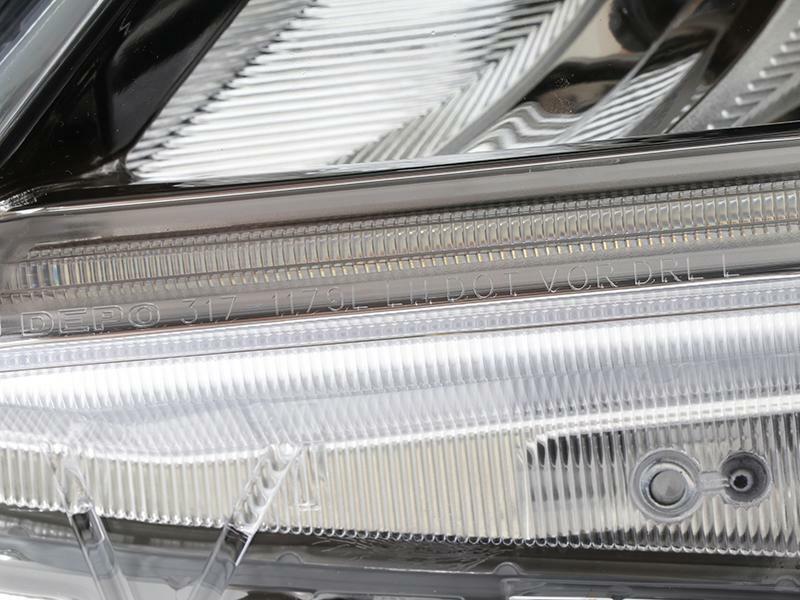 Many first generation Factory equipped Xenon headlights emit 4300K, because the color temperature output gives out more usable lumen. 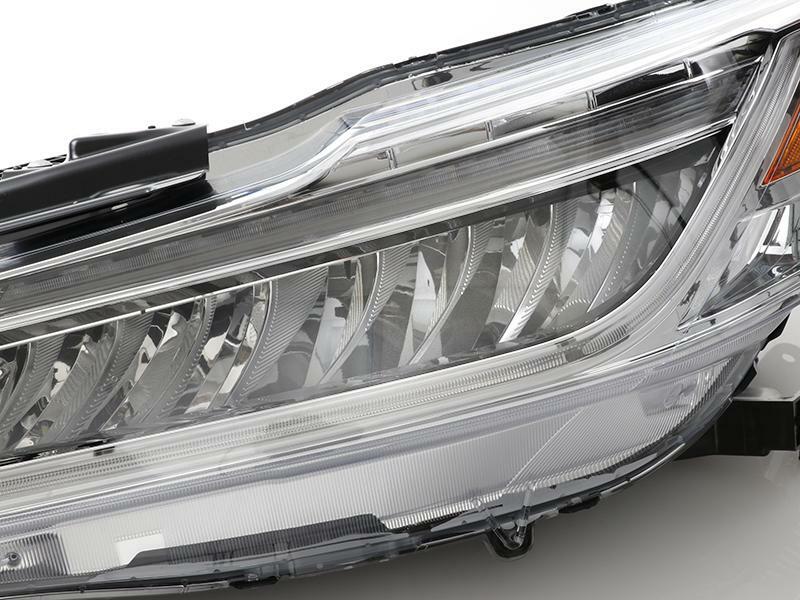 Most second generation Factory Xenon headlight sets use 6000K to match the output for some LED Daytime Running Lights. 6000K is a representation of the Sunlight's light, which is pure white. The higher the Kelvin temperature, the output becomes more bluish to purplish. It is normal to have the output more blue when the HID Bulb first came on....Click here for Full Information. 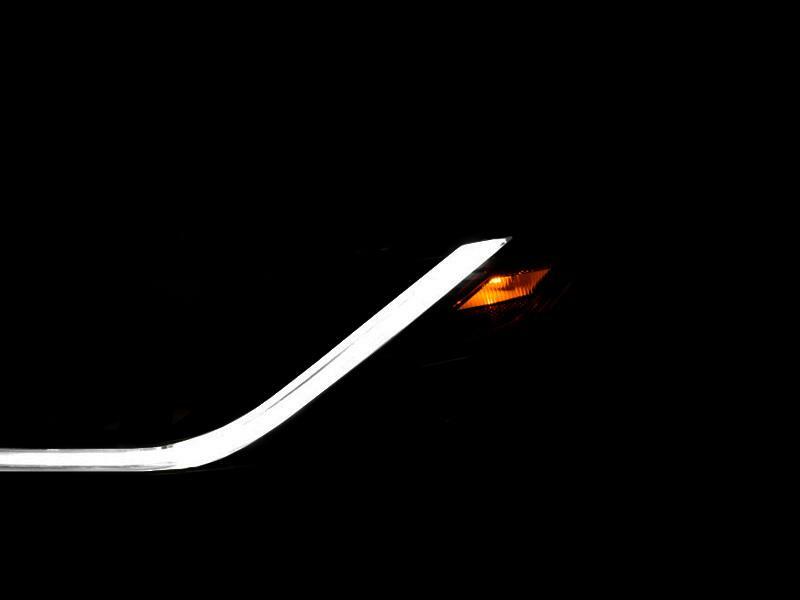 DRL stands for Daytime Running Light which originally was developed and used in countries that are more prone to foggy conditions and it is a safety feature which has now become standardized by many car manufacturers. In some countries, it is by law required features (such as Canada). Please note that the DRL feature is not site specific on a vehicle. As long as the supposed “DRL” Light remains on during the day (with the Parking Brake disengaged) and turns off OR becomes dimmer (automatically) when the “Parking Light” Light is engaged, then the supposed light should be your DRL. 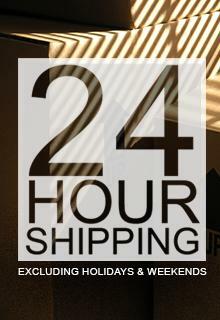 There are two main types of Day-time Running Lights....Click here for Full Information. BMW’s most popular smaller vehicle would be the 3 Series. And the base model might be 325i while paying more would get you bigger engine and other nice upgrades so you would have 330i. However, if you pay to have the top of the line which shares the same chassis, then you would get M3. Each model would tailor to each sections of the buyer who is willing to pay certain amount to get certain equipment. M3 obviously get the best engine, racing seat, huge aggressive body styling, spoiler, wheel…etc....Click here for Full Information. 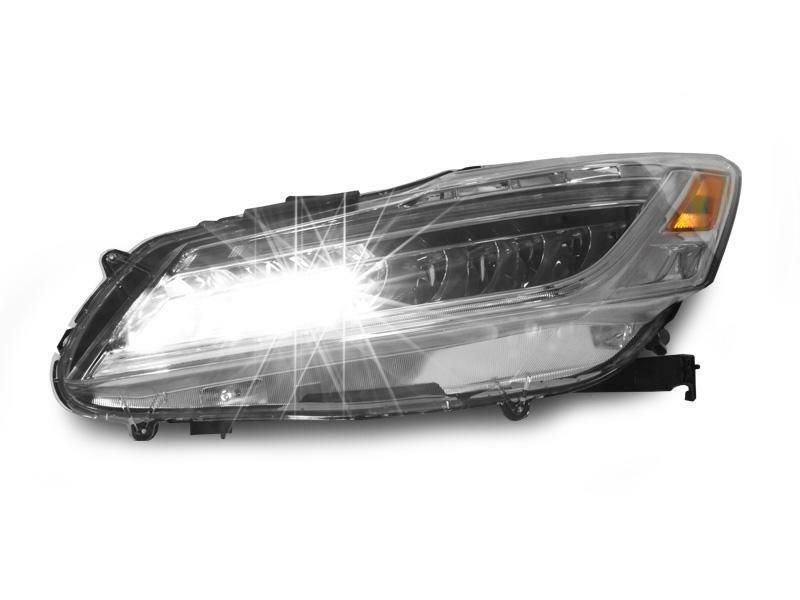 If your vehicle originally does not come with Angel Eye Halo Ring feature, it would mean like any electrical feature that the new Angel Eye feature is required to connect to power to light up. Unfortunately the light manufacturer usually either does not provide such wiring or incorrect type of wiring is included that makes the installation very difficult for installer. That is the reason that we through our 15+ years experience, provide the solution of the proper wiring for easy connection, and most important, to cause no error after install....Click here for Full Information. 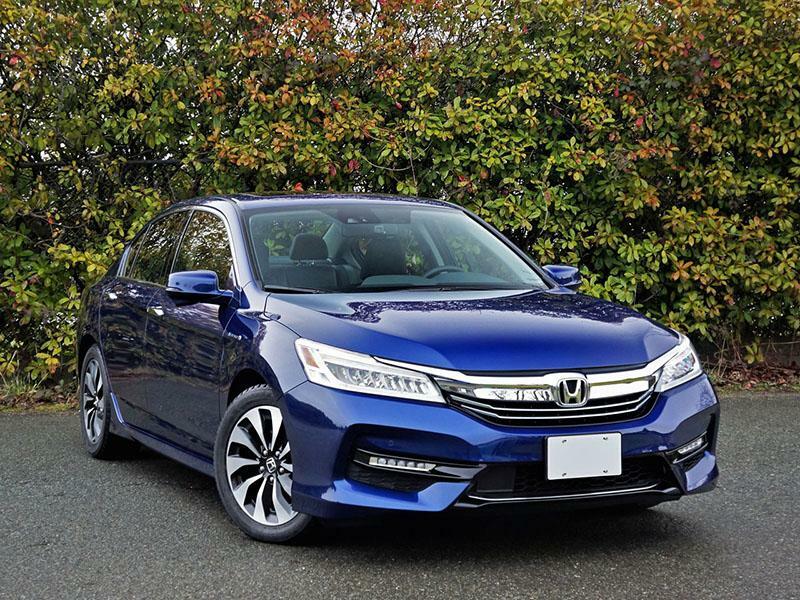 As you might or might not know that a normal car's production period (a chassis) is around 4~6 years and in between, car manufacturer usually will make small editing on their design after 2~3 years of the first introduction, to update the car's look. Therefore, before the small editing while stays at the same chassis is called Pre-Facelift literally. And Facelift is obviously talking about AFTER the editing on the design, or also called Post-Facelift.....Click here for Full Information. 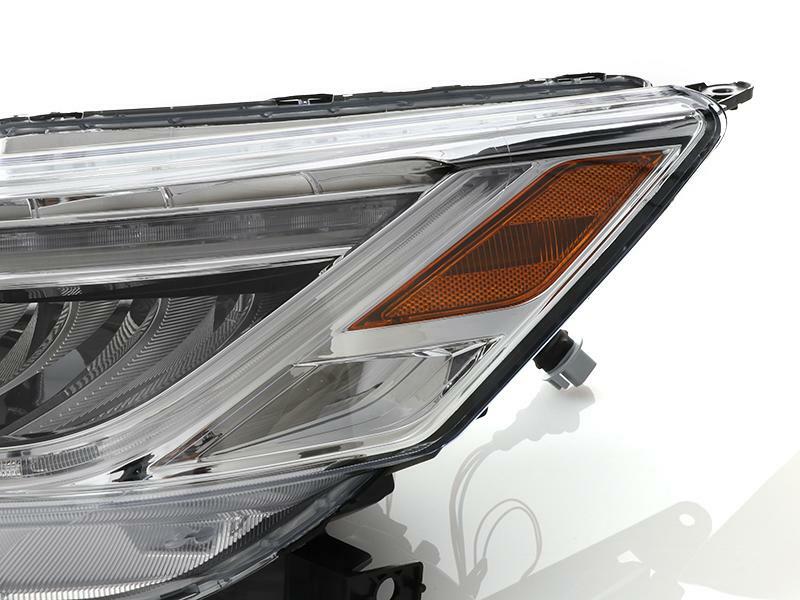 As almost all the automotive lighting manufacturers offer parts only, if end user purchase such parts, they sometimes would have difficulty figuring out how to put additional upgrade into it, namely genuine Xenon HID and/or Angel Eye Halo Rings…etc Even for people who knows, might take literally hours to complete, not to mention the risk of damaging the parts in between. It is our highest recommendation that whenever an option such as Pre-Installation by USR (Unique Style Racing) is offered, unless you are very aware the parts, your own vehicle’s structure, the time it involves that you will need to invest to putting them together, you should ALWAYS choose Pre-Installation by USR....Click here for Full Information.